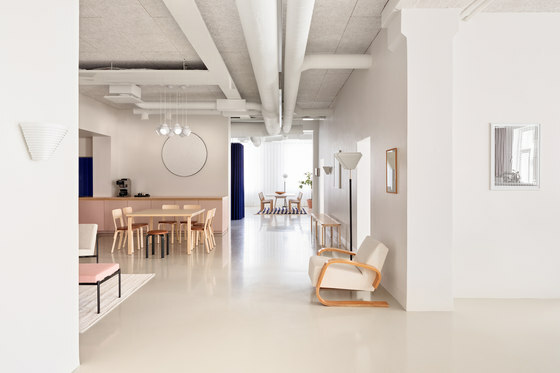 Artek moves its headquarter to new premises in central Helsinki, creating an open, active and inspiring environment for a new way of working. Artek’s new office opens its doors at Mannerheimintie 12 B, an elegant 19th century building, just a few minutes away from the Artek Store. 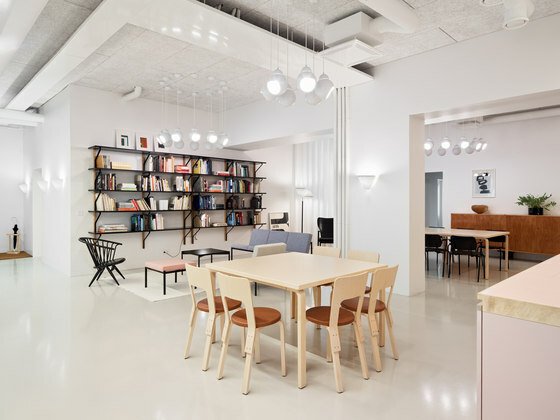 Conceived as a working showroom, the Artek office invites architects, partner dealers and business clients to visit and experience Artek’s novel approach to its own working environment. 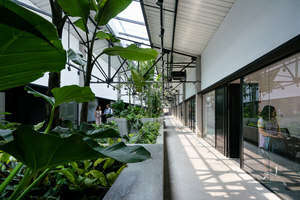 The new office is designed by British architect Sevil Peach. She states that especially in our highly digitalised times, “bringing people together builds a corporate culture and improves teamwork. Of course, people can be brought together using technology, but nothing beats face-to-face encounters”. 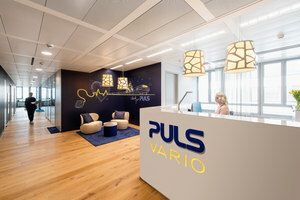 Sevil Peach’s space solutions have a distinct objective: foster an open and productive exchange, in which colleagues combine their competence over team borders. 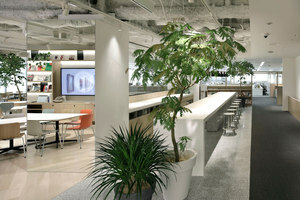 The office is arranged in an airy, people-focused open plan, which encourages interaction and collaboration. In line with Artek’s own product design approach, the office is as functional as pleasantly informal, putting human needs first. Productive work is born in everyday, direct encounters. “What’s most fascinating in every project is people’s behaviour. It is not merely a question of the space I create; equally important is how people behave in these spaces”, Sevil Peach says. The new office empowers the users to work in various ways, flexibly suiting their task at hand and individual needs. 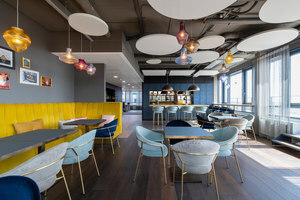 While all team members are provided with dedicated desks, they are encouraged to freely use the entire environment: working from a sofa; settling down alone or in groups at an informal meeting table; working sitting or – more dynamically - standing. It is the right balance of collaborative spaces and zones of retreat and concentration that ultimately enhances productivity. The 470m2 space feels very open, all individual zones are interconnected with beautiful vistas, including views to the outside. The continuous perception of space allows for easy and immediate communication between the various team spaces. All doors have been removed with the exception of meeting rooms and bathrooms. 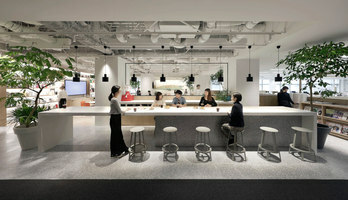 Five human-scale work zones for the different teams are supported by two meeting rooms. 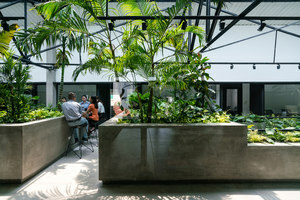 The ‘market place’, a spacious central break-out area with an open kitchen, lunch/meeting tables and a library, serves as social hub of the office. 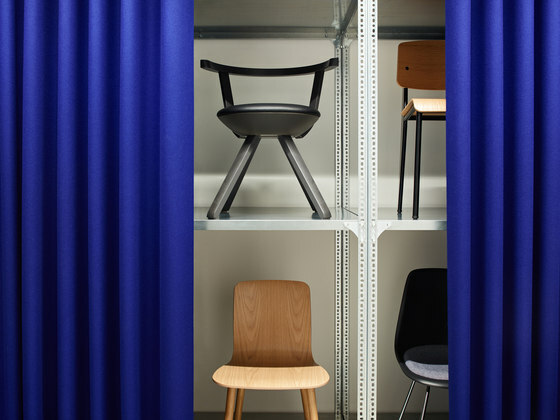 Facilities such as a sample library and product presentation racks, cloakroom, lockers, bathrooms and a copy & print area complete the diverse office environment. 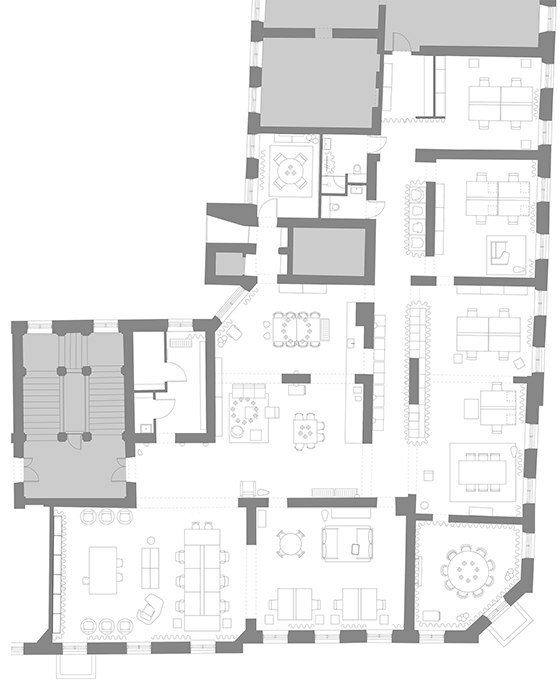 The open layout facilitates informal encounters between team members. This includes having only one bin. Taking any disposable items to the only bin in the office not only keeps the body active and refreshed, but also provides the opportunity for coworkers exchange a few words on the way. 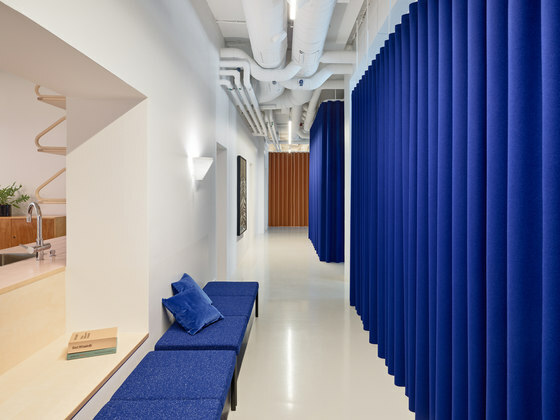 The traditional exterior of the building is met with a surprising industrial choice of materials at the interior of the Artek office. 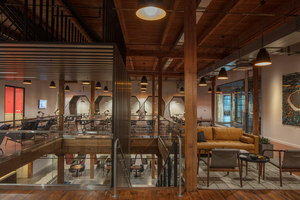 A seamless industrial poured floor finish is introduced to all areas, the ceiling is covered in roughly textured acoustic strand boards. In order to maximise the ceiling height, all HVAC installations are exposed and painted white. 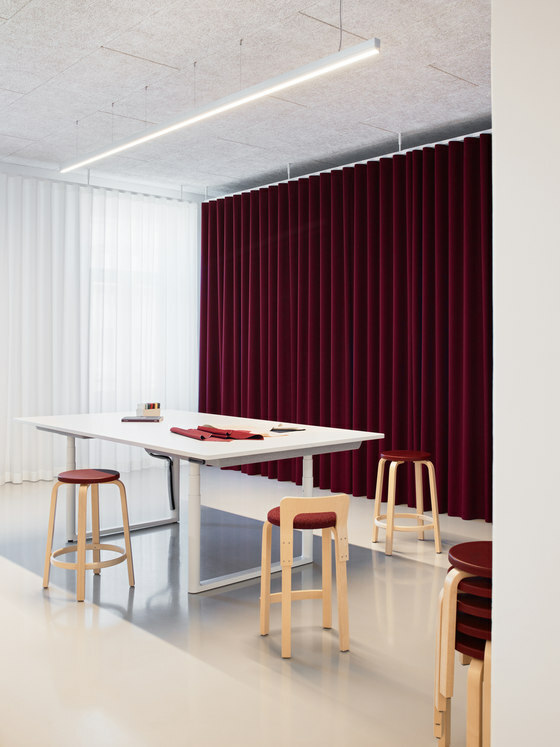 The 'raw' atmosphere is enriched by the introduction of bold coloured curtains, a strong design element in the entire office. These conceal and frame the sample library, chair display, storage, archive, lockers, write-on and pin-up boards. 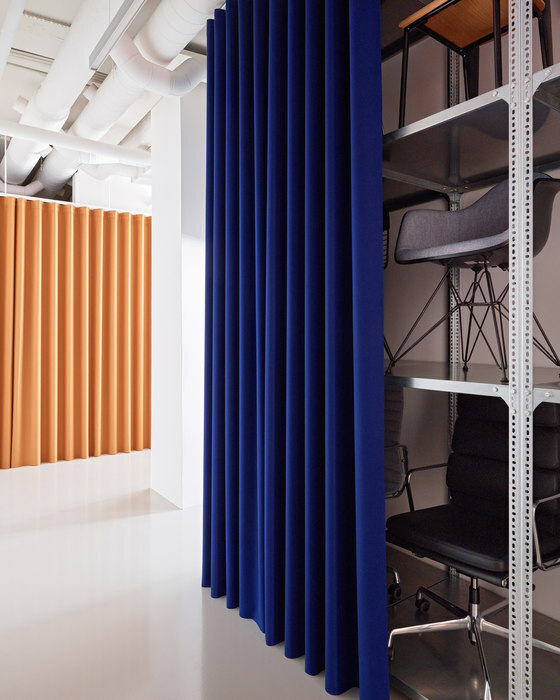 Improving the office acoustics through their softness, the curtains equally form a theatrical setting. 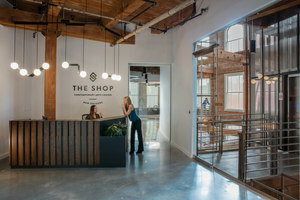 Depending on whether the curtains are open or closed, the perception of the space can switch between that of a vivid workshop or a serene workplace. 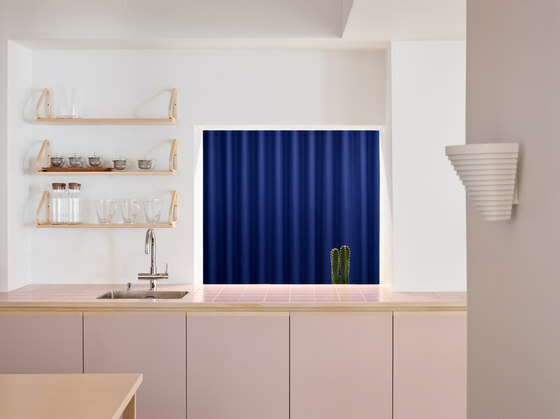 Furthermore, the curtain colours provide an intuitive orientation throughout the space, as each zone has a different tone. 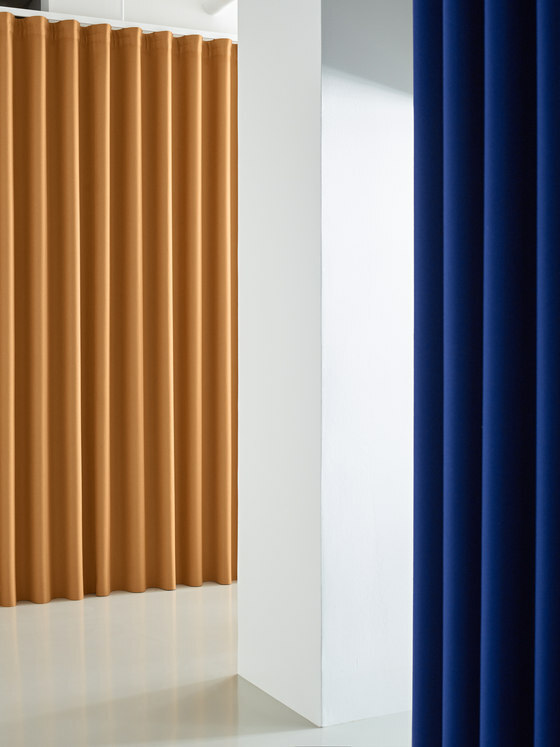 The formal meeting room is wrapped with curtains that create a soft, embracing atmosphere whilst concealing presentation walls and providing good acoustics. Visitors are drawn to the views out onto the historic city centre. 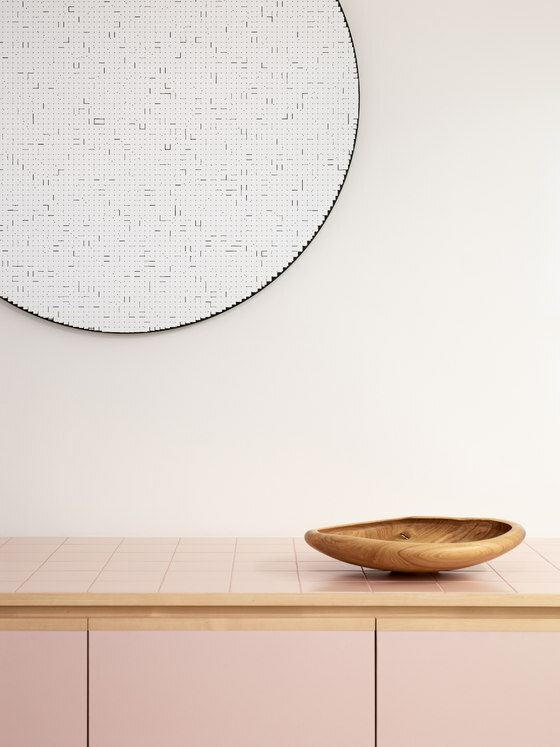 Materials and details used for the custom-made kitchen counter – linoleum fronts, birch handles and a tiled counter top – are a subtle homage to Artek’s heritage and craftsmanship. 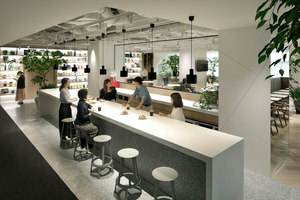 The welcoming and functional environment is furnished with a collage of furniture from Artek and Vitra. 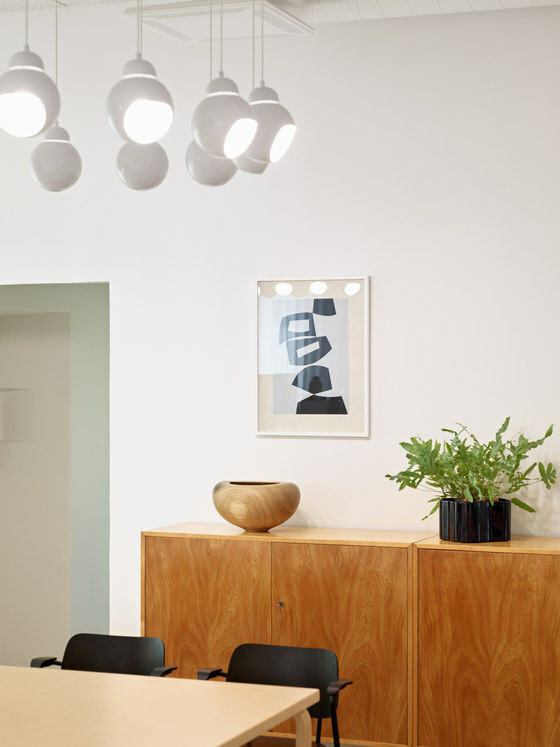 When Vitra purchased Artek in 2013, a union of two strong design companies was formed. “Artek and Vitra have the same values. 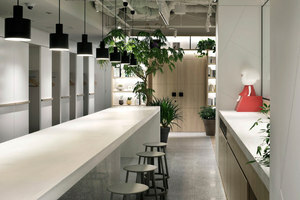 The roots of both lie within modernism and share the same notion that everyday life can be improved with honest designs.”, Vitra’s CEO Nora Fehlbaum tells. Swiss company Vitra is an industry leader in the field of office furniture. The company’s decade-long research continuously produces innovative solutions for needs of the ever-changing working environment. Vitra’s Swiss-engineered, ergonomically sound and thoroughly tested products are of high quality, both in terms of physical durability and design longevity. Vitra offers a wide range of office chairs, workstations and furniture for public areas, which can now be seen in use at the Artek office. 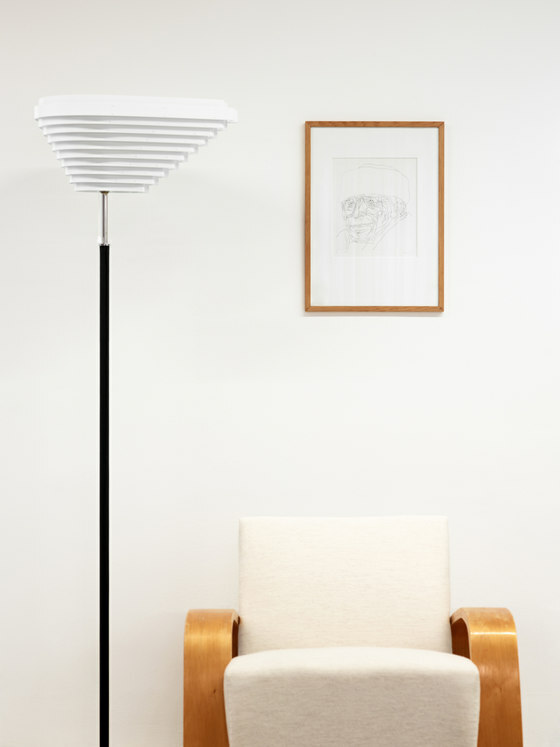 Artek’s collection comprises classics designed by Alvar Aalto and Ilmari Tapiovaara, as well as new products designed by Konstantin Grcic, Ronan & Erwan Bouroullec and Daniel Rybakken. Made of natural materials, Artek products bring a notion of relaxed informality to the office. The Artek Collection is well suited for cafeteria areas, reception spaces, meeting rooms and otherwise brightening up modern workspaces. Together, the Artek and Vitra collections create a strong, high standard and visually fascinating product portfolio, where you select solutions for a variety of different project sites. “Artek’s people-friendly, warm and cosy collection creates the perfect pair with the Vitra collection. 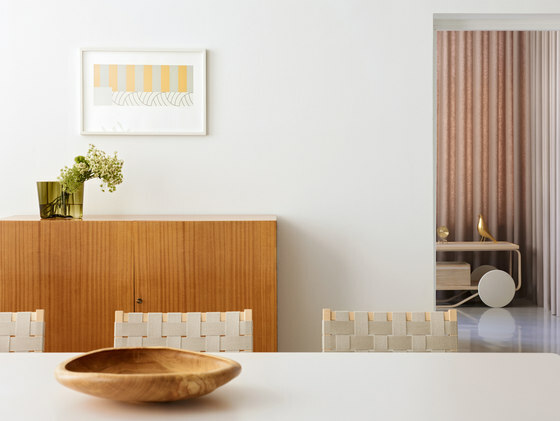 Using Artek’s furniture and lighting, spaces can be decorated to provide a more comfortable ambiance and more fluent forms”, tells Anja Matilainen, Finland’s Country Director for Artek and Vitra. 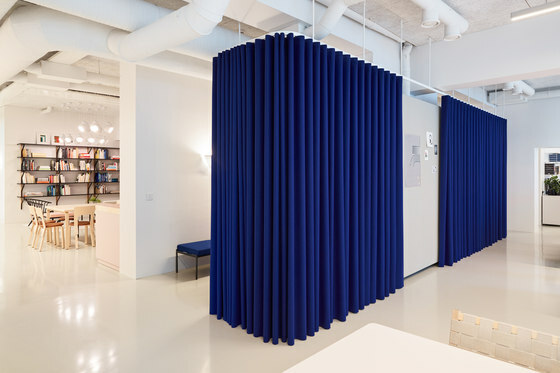 The office space also acts as a demonstration space for Artek’s business to business sales. Architects, designers and corporate clients are all welcome to visit the office and experience the products. 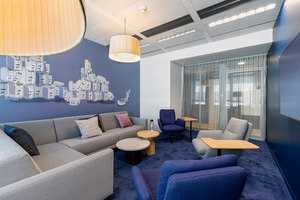 The office showcases furniture ideas serving a number of different purposes using a variety of workstations, meeting rooms and coffee break areas. 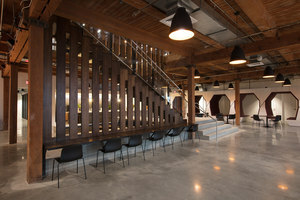 “Architects and interior designers can bring their customers to us and even hold a meeting at our facility. In this way, the clients can get a practical feel of the furniture before buying. 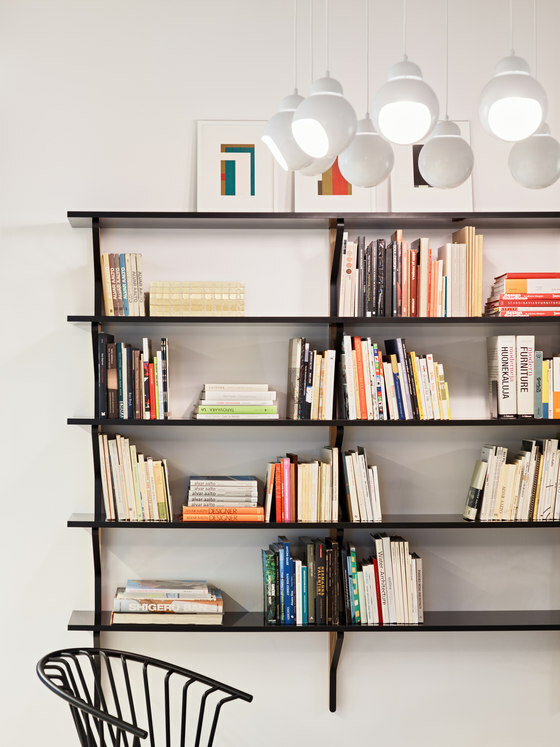 Office furniture is provided by the Artek and Vitra collections, which are both distributed by Artek oy. 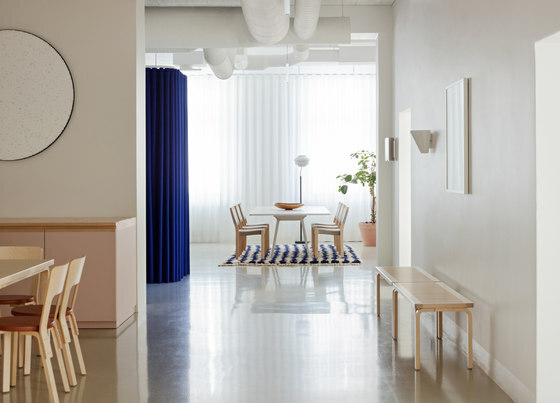 In addition, there is an extensive material library and a constantly updated collection of model furniture”, tells Artek’s Contract Sales Manager Ejvind Elvilä.